Shayari - शायरी : Hey guys now you are poetry tadka community website. 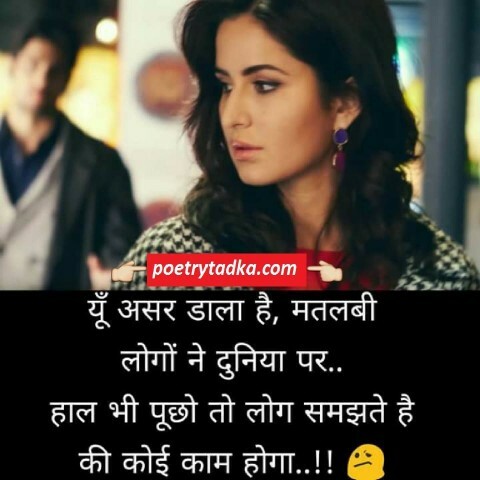 And this page is specially for whom searching Shayari - Whatsapp Shayari or Dil Chu Jane Wali Shayari for their love and partners to express their feeling. And now don't worry worry and read unlimited shayari collection in Hindi and english fonts at your loving website poetry tadka. मेरे ख्वाबों की तरह, उसके वादों. रुह तक गिरवी है मेरी, तेरी चाहत में.